LBMM: I guess it's about time..
Have I ever written here about my photography blog? If not, you can visit here. I opened up shop last summer while we were still living in New Jersey and practiced every time I could get the chance. While I would have loved to be able to afford a professional web designer, I made it work with what teeny tiny knowledge of web design I had. Once we moved, I knew that we were going to be in a constant state of transition and I wouldn't be able to keep the blog as updated as I would have liked so I chose to take it down with the intention of making a few tweaks over time while we got settled. That time turned into a few months! So today I sat down to get it running again and quit making excuses. If I am going to grow my business, I have to be able to point somewhere to show off my work! I didn't want to get too crazy and upload everything I've shot over the past few months at once, so I figured I would take it slow over the next few weeks! 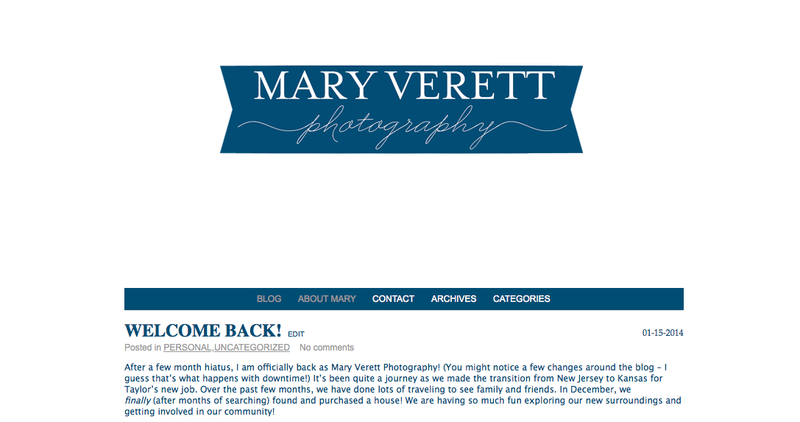 I have a really hard time believing that the five people who read this blog aren't my Facebook friends, but just in case, you can also like my Mary Verett Photography page here.